Don't Be Confused By NSW Taxi Council and RMS Statements Telling You That Ridesharing Is Illegal. On the 26th November 2015 the Taxi Council of NSW nswtaxi.org.au attempted to deceive the public advising them that Ridesharing is illegal and it's not worth the risk. The NSW Taxi Councils take on it is nothing short of laughable, they have a monetary interest in Taxis, that is where they get their money from, so a one sided story and point of view. They are confused, UBER is a quasi taxi service that is operating outside of the law, not a ridesharing company. The truth, ridesharing has been around for decades. The government even promote ridesharing and run one of their own initiatives and websites aimed at less traffic on the road when commuting to work. So how illegal is Rideharing? It's NOT ILLEGAL AT ALL, however the government and organiations such as the NSW Taxi Council would loose money when people start to wake up to the fact you have been lied to. Firstly I want to point you to an article we have previously published LifeSocial Carpooling unaffected by NSW Government ruling out Ridesharing Apps where we explain how and why Ridesharing is LEGAL. "At best the articles heading 'Ride-sharing apps ruled out by NSW government' is misleading. You read on further to see: Transport for NSW has ruled out smartphone apps that allow motorists who are not taxi or hire-car drivers to receive money for offering lifts. The truth is this is not a new ruling, it's been a known law and is written in the Transport Act 2007. 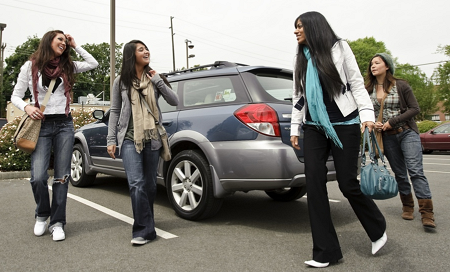 LifeSocial Carpooling operates on a different model that abides by the local laws in where we operate. We have articles for best practises on Cost Sharing and Profiting from Driving and advice on Insurance and how this may change when you are profiting from Carpooling. The article was aimed directly at Uber's Ride-sharing app and not all Ride-sharing apps." In a statement by NSW Taxi Council.. "Ridesharing companies are owned by entrepreneurs with the aim of cashing in by snatching a share of the fare and removing drivers' rights. There's a fundamental difference and one must ask, who are these people promoting ridesharing and what are their true motives?" My true motive is written on the about page of my site, where it compares a Taxi Ride from Sydney to Bathurst costing $800, similar to a return flight to Fiji. so my motive is to reduce the rip off costs that the Taxi industry is charging people and keeping drivers rights, better service and better safety. You want to discuss the rights of drivers, I want to discuss the rights of a passenger who are paying you money. Im sure a passenger does not jump in a taxi wanting to be sexually harrassed do they, you also do not openly acknowledge complaints from the public do you now?